Facebook leaders' strategy on consultants: "We didn't know"
Facebook CEO Mark Zuckerberg said Thursday that he and COO Sheryl Sandberg were unaware of the company's involvement with a Washington, D.C.-based opposition research firm that had tried to link an anti-Facebook campaign to billionaire philanthropist George Soros. Why it matters: Sharp-elbowed political consultants are common in the world of corporate lobbying. But a long series of crises, including the Cambridge Analytica privacy breaches and the election-meddling misinformation campaigns, have eroded Facebook's morale and run down its credibility reserves, giving the company's leaders little room to maneuver. The details: Definers Public Affairs is a consulting firm founded by former Republican campaign staffers that specializes in opposition research. It represents other tech firms, like Qualcomm, and has lobbied against Apple. Facebook hired Definers in 2017 to do media monitoring, sending news clips about Facebook to the public affairs communications team and to the Facebook communications team more broadly. Definers' role for the firm quickly expanded to include opposition research, managing press calls for reporters and managing relationships between reporters and Facebook's privacy, policy and security executives. A source says Facebook understood what was being shared by Definers before it went out. Who knew? On a call with reporters Thursday, CEO Mark Zuckerberg said he learned about the relationship via the New York Times piece that was published Wednesday, and quickly decided to end it. 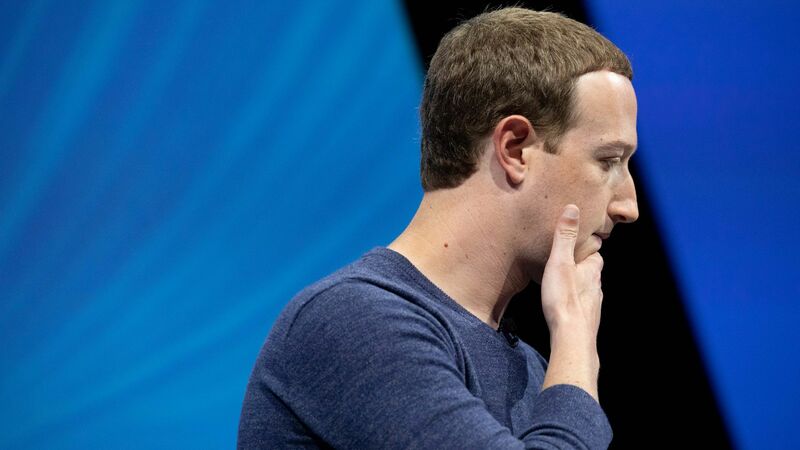 "As soon as I read it, I looked at whether this was the type of firm that we wanted to work with and we stopped working with them," Zuckerberg said. He said Definers' tactics are "the sort of thing that might be normal in Washington" but that they are "not the kind of thing we want to be involved with here." Zuckerberg said that COO Sheryl Sandberg "was also not involved" with the Definers relationship, and that "she learned about it at the same time I did." Sandberg later posted: "I did not know we hired them or about the work they were doing, but I should have. I have great respect for George Soros — and the anti-Semitic conspiracy theories against him are abhorrent." Facebook has also said that Joel Kaplan, VP of Public Policy, wasn't involved in the contractor's work. Our thought bubble: It's hard to understand how top executives wouldn't know that a firm was being paid by the company for months to conduct opposition research and manage press strategy around the Russian election interference scandal while Sandberg was testifying before Congress last September. Yes, but: Facebook works with dozens of third-party groups, from ad agencies to accounting firms to lobbying groups and event vendors. Also, opposition research like this has become standard operating procedure for many big companies. It's possible executives overlooked the relationship until the Times story spotlighted its press materials around Soros, whose longstanding role as a target for right-wing conspiracy theories has grown even bigger in the Trump era.